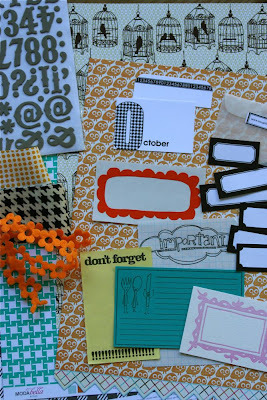 hey jen renee: October kit is up! Hurry hurry hurry over to the Red Velvet Kit Club etsy shop to get yours! October's kit is everything you could want ... a little spooky and a lot fun. 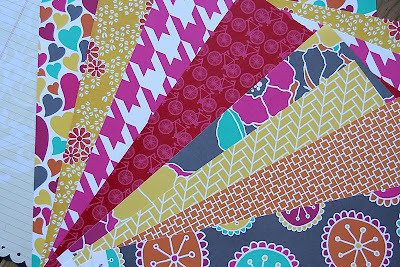 Bright, funky and jam-packed with gorgeous American Crafts Grey Thickers, brand new Hambly, American Crafts, Creative Imaginations scalloped papers, Sassafras, lots of journaling tags of all sizes, adorable dots/hounds tooth fabric and waaaay more than I've listed here. It doesn't matter if you have summer, fall or Halloween projects - this kit will rock them all. And don't miss the RVKC clearance sale! You'll find paper packs, full kits and all sorts of other items at a super discounted price. Check it early and snag your faves before they're gone. 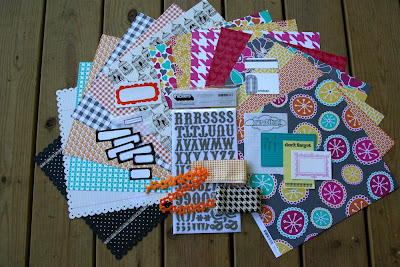 And a big hooray for this month's Guest Designer, Kim Brimhall! Love this girl. Hope you're ready for the scrap she's about to bring. I love her style and can't wait to see what she has up her sleeve. eek! that defenitly looks like a really fun one with all the yummy houndstooth! that huge pink & white one is totally a fave. darn trying to be financially responsible! Nice. My boyfriend will be ordering this for me tonight!!! We are just sooo silly. haha. ugh...i'm supposed to be on retail therapy but that freakin' kit is taunting me.....it's 100% sandy goodness. sigh.